During the last presidential campaign, I swooningly predicted that Barack Obama would be our first civil libertarian president. Of course, I was wrong, and the last three years have offered plenty of disappointments in the president’s record on privacy and national security. But if Obama wins a second term, I hope reelection gives him the freedom to redeem that unfulfilled promise. But in the age of Google and Facebook, regulatory agencies have more control over free speech and privacy than any Supreme Court justice—which means that appointing committed civil libertarians to these agencies should be one of Obama’s primary goals. That could have prevented one of the unnecessary privacy Chernobyls of Obama’s first term: his embrace of the naked body scanners at airports, which was followed by an about-face when a national outcry (inspired by the immortal protest “Don’t touch my junk!”) led the Transportation Security Administration to discover that the scanners could be retrofitted to scramble the naked images into a blob-like avatar. But regulators who had any interest in civil liberties could have avoided this disaster from the start: The “blob machine” alternative had been obvious since 2002, when designers at the Pacific Northwest Laboratories first publicized a range of scanning machine technologies. Unfortunately, the privacy office at the Department of Homeland Security, which is responsible for evaluating the privacy impact of national security technologies, failed to demand the less invasive technology when it first approved the machines. To avoid mistakes like that in the future, Obama needs to appoint more vigilant privacy officers to evaluate the range of security technologies that the government implements. When they are focused, privacy regulators can influence the balance between privacy and security as much as any judge. 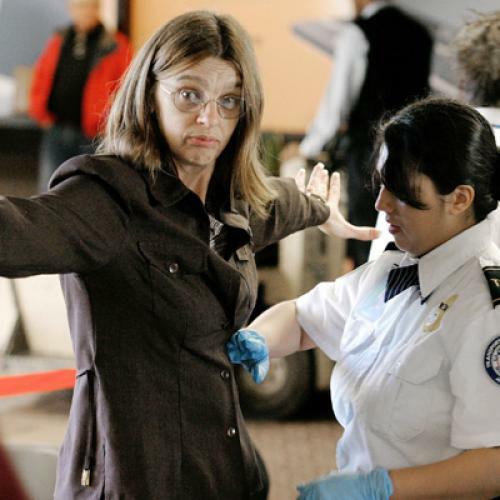 For example, the TSA is about to roll out a technology to measure waiting times in airport security lines—by reading the GPS signals from passengers’ bluetooth devices when they enter and exit the screening area. In preparation for the launch, the TSA’s chief privacy officer, Peter Pietra, has insisted that the identifying numbers associated with individual devices be made anonymous, and only the wait times themselves be stored. Only more demanding privacy officers at DHS, the Department of Defense, and other federal agencies can ensure that technologies are implemented in ways that protect civil liberties and security at the same time. More broadly, I hope Obama uses his second term to address the challenge of protecting liberty in an age when Facebook and Google have more power over privacy and free speech than even the president of the United States. In Obama’s first term, the energetic head of the Federal Trade Commission, John Liebowitz, reached settlements with Google and Facebook after investigating both companies for violating their own privacy policies. But the FTC can only do so much: It’s regulatory authority is hampered by a statute, drafted by Louis Brandeis in the Progressive era, to protect small business from unfair competition at the hands of the oil and steel trusts. The great regulatory questions today, by contrast, involve the challenge of protecting privacy and free speech at a time when Google and Facebook are in a race to track consumers as ubiquitously as possible and serve us personalized ads at every opportunity. In his second term, Obama could create a White House working group to explore the possibility of expanding the FTC’s jurisdiction—or even create a new regulatory agency—to meet this challenge. Since Europe has a tradition of far stronger data privacy commissioners—who are on the verge of creating a new “right to be forgotten” that will threaten the American free speech tradition—White House leadership here is all the more urgent. With technology moving so quickly, Obama doesn’t have a moment to lose.